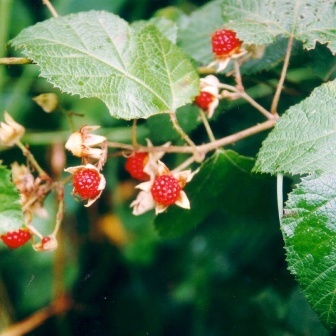 Other names: Molucca bramble, Molucca raspberry. South pacific raspberry grows in a very large part of the world starting from tropical Himalayas through Malaysia to Australia, Solomon Islands, New Caledonia and Fiji. It is believed to have been originated somewhere in the Caroline Islands, New Britain [Vanuatu], the Solomon Islands, northern Australia, New Caledonia and Fiji. Another opinion is that this wild growing fruit is native to moist eucalyptus forest and rainforest of eastern Australia. It is a quite commonly growing plant in these areas. A tall scrambling deciduous shrub or climber, stems covered with short rusty or white woolly hairs, and armed with numerous recurved prickles. Leaves alternate, broadly ovate- cordate, usually 3- or 5-lobed, 3-20 cm long, 2.5-18 cm wide; dorsal surface hairless or sparsely hairy and with a crinkled surface, ventral surface covered with densely white or rusty hairr. Flowers white, borne in clusters in upper leaf axils; sepals are large, velvety, and persist till fruiting; petals 5. Fruits red, about 1.2 cm across. The fruits are edible and are eaten. These are also used for making jams, jellies etc. The fruits yield a very attractively coloured red juice which can be utilized for mnaking beverages. 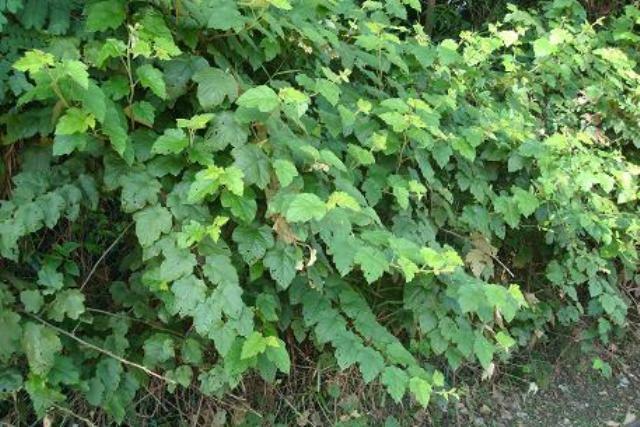 The leaves are said to be abortifacient, astringent and emmenagogue. 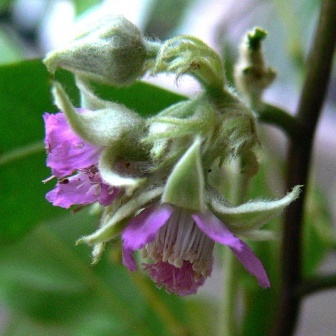 The fruit is considered to be a useful remedy for the nocturnal bed wetting among children. A purple to dull blue dye is obtained from these fruits. 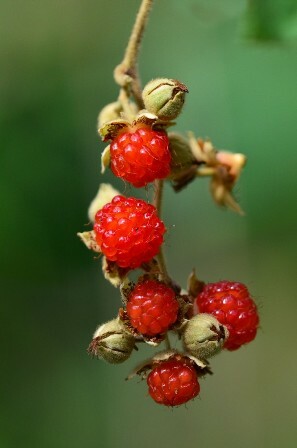 Though the fruits of South Pacific raspberry are eaten and also used for making products, this fruit is not cultivated. The fruits are collected from the wild. However, new plants can be raised from seed.